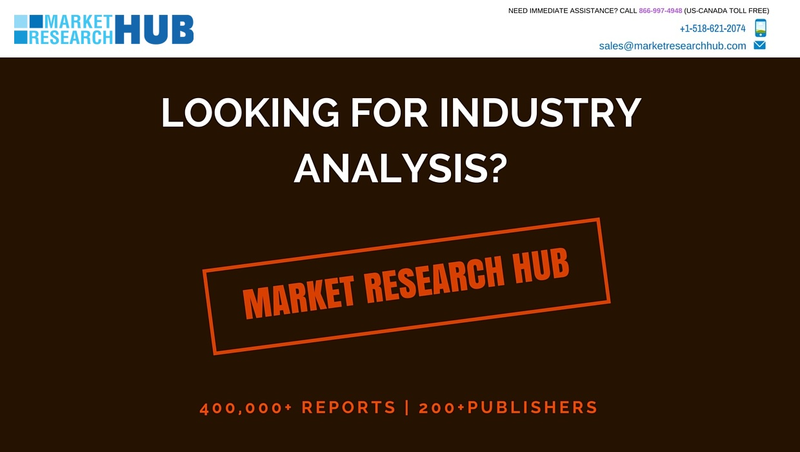 Albany, New York, August 10, 2016: Market Research HUB has announced the addition of the "Global Photoelectric Sensor Market Outlook 2016-2021" report to their offering. This report provides detailed analysis of worldwide markets for Photoelectric Sensor from 2011-2016, and provides extensive market forecasts (2016-2021) by region/country and subsectors. It covers the key technological and market trends in the Photoelectric Sensor market and further lays out an analysis of the factors influencing the supply/demand for Photoelectric Sensor, and the opportunities/challenges faced by industry participants. It also acts as an essential tool to companies active across the value chain and to the new entrants by enabling them to capitalize the opportunities and develop business strategies. GCC's report, Global Photoelectric Sensor Market Outlook 2016-2021, has been prepared based on the synthesis, analysis, and interpretation of information about the global Photoelectric Sensor market collected from specialized sources. The report covers key technological developments in the recent times and profiles leading players in the market and analyzes their key strategies. The competitive landscape section of the report provides a clear insight into the market share analysis of key industry players. The major players in the global Photoelectric Sensor market areOmron (Japan), Sick (Germany), Pepperl+Fuchs (Germany), Baumer (USA), Rockwell Automation (USA), Shanghai Lanbao (China). The report provides separate comprehensive analytics for the North America, Europe, Asia-Pacific, Middle East and Africa and Rest of World. In this sector, global competitive landscape and supply/demand pattern of Photoelectric Sensor industry has been provided.